The roaming theatre podcast coming to you from the geographic center of the American theatre. 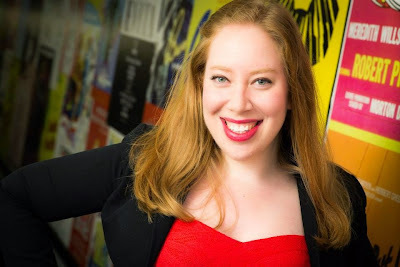 On this episode of STAGE GROK, I talk with Jennifer Ashley Tepper, author, historian, producer, about her two volume Untold Stories of Broadway, her concert series If It Only Even Runs a Minute, and her series of concerts at 54 Below in New York, where she is director of programming. Jennifer has worked on the Broadway shows [title of show], Godspell, The Performers, and Macbeth. She also co-produced Hit List, the live concert version of the fictional musical from Smash. She has worked on other projects with Ars Nova, National Alliance for Musical Theatre, The Producing Office, PBS, The Rodgers & Hammerstein Organization, New York Musical Theatre Festival, Second Stage, The York Theatre, and the Tony Awards. Check out Jennifer's website, her author bio and books on Amazon, and her recent Playbill article, "They Only Ran a Minute! 10 Forgotten Musicals Due For a Revival." You can follow Jennifer on Twitter @jenashtep. STAGE GROK host Scott Miller is the artistic director of New Line Theatre in St. Louis, and the author of six books on musical theatre, nine musicals, and the musical theatre blog The Bad Boy of Musical Theatre. Opening and closing theme music: Overture from Cry-Baby the Musical by Adam Schlessinger and David Javerbaum, from New Line Theatre's 2012 production. Used by permission. Logo designed by Matt Reedy. Stage Grok is available on iTunes.